Vanguard's ESPOD CX 203AP will certainly impress with its modern style and ease of use. It features an impressive maximum weight load of 7.7 lbs for such a compact tripod at 3.5kg. This pan head's ergonomic handle positions smoothly and easily and the top panning system allows for quick portrait mode set-up. Vanguard&apos;s ESPOD CX 203AP will certainly impress with its modern style and ease of use. 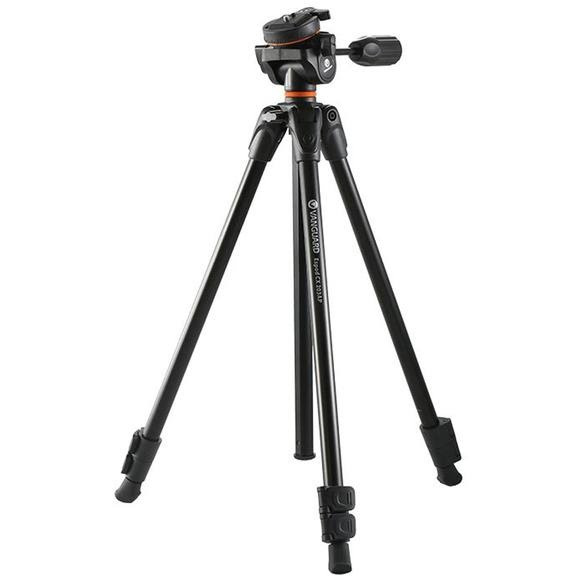 It features an impressive maximum weight load of 7.7 lbs for such a compact tripod at 3.5kg. This pan head&apos;s ergonomic handle positions smoothly and easily and the top panning system allows for quick portrait mode set-up.